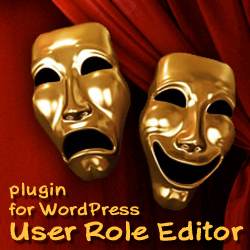 User Role Editor WordPress plugin version 3.6.2 is published at May 23rd, 2012. Hindi translation was added. Thanks to Outshine Solutions. Translations for these languages still wait updates: Finnish, Japanese, Belorussian, Brasilian Portuguese, Chinese, German, Hungarian, Polish. Former and new translators are welcome! This entry was posted on Wednesday, May 23rd, 2012 at 10:18	and is filed under ShinePHP plugins news, WordPress. You can follow any responses to this entry through the RSS 2.0 feed. You can skip to the end and leave a response. Pinging is currently not allowed.